Ethanol needs your support! The Iowa Corn Growers Association is working with the National Corn Growers to help you submit comments to the Environmental Protection Agency encouraging the agency to approve the recent waiver application that would allow for an increase of ethanol blends of up to 15 percent. Please send comments using this form. This is a much drastic change from the flooded crop of last year. The old saying is "knee high by the 4th of July". I'm pleased to report that the crop is well ahead of schedule, as you can see by the above pics. Do you guys use Ethonal in your cars? Mike's car is a flex fuel vehicle and we use it. It's amazing the difference in price from Walford, (which is the closest station to carry it by us) and Corallville, it's about a 50 cent a gallon difference. There is also a station in Marion that carries it but, that is no where near where we usually travel. We are excited that the corn is over knee high too! 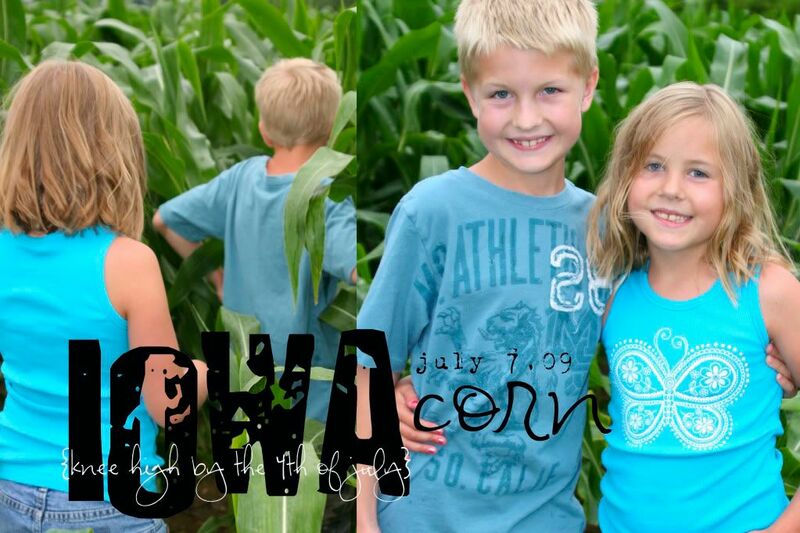 I love the picture, it about sums up Iowa, LOL! I hope that you guys are doing well and that your summer is going good!